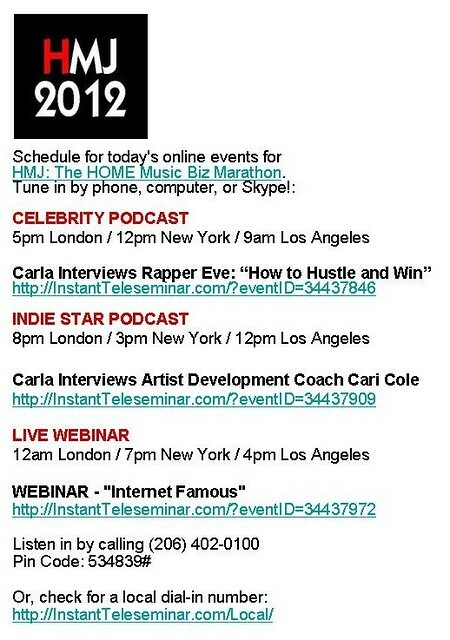 Ready for this morning’s teleclass? Tune in at 6am EST! 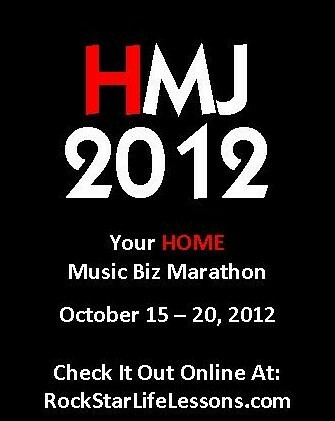 Today’s HMJ: HOME Music Biz Marathon Events! The First HMJ TeleClass #1 is Today! 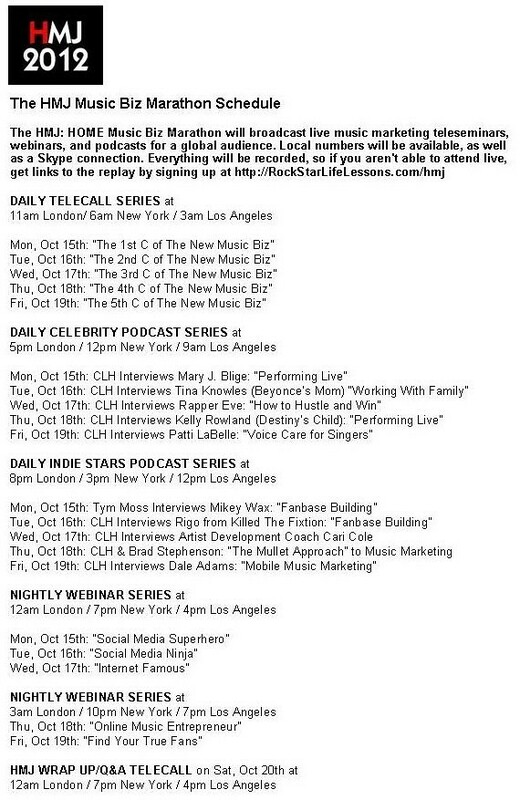 These are 60 minute classes.